WOODLAND HILLS, Calif. - Aug. 29, 2017 - PRLog -- ACT Today! (Autism Care and Treatment Today! ), a national non-profit organization whose mission is to provide care and treatment to children with autism, announced it is seeking funds from the public to meet emergency needs for families affected by Hurricane Harvey through it's ACT Today! SOS program for families in emergency need. ACT Today! SOS is a program dedicated to supporting the immediate and imperative needs of those impacted by autism. ACT Today! We recognize that some individuals diagnosed with autism who are in immediate personal danger or harm are unable to wait up to 12 weeks for a response to their request. The ACT Today! SOS Program is designed to provide immediate support for these families based upon need and the program funds available. ACT Today! has provided $1.5 million dollars in access to care and treatment to families of children with autism spectrum disorders (ASD) who cannot afford the necessary tools their children need to reach their full potential. ACT Today! provides access to services that include social skills programs, tuition for special needs schools, therapy, medical care, assistive technology, basic safety equipment, assistance for military families with children with autism, assistance dogs, among many others. "Our hearts go out to everyone impacted by Hurricane Harvey and those affected by its destruction," said Nancy Alspaugh-Jackson, the Executive Director of ACT Today!, a national nonprofit serving the autism spectrum. "Our mission is to raise awareness and provide treatment services & support to families to help their children with autism achieve their full potential." "Unfortunately, many of our grant applicants live in the path of Hurricane Harvey and require additional funding for services including applied behavioral therapy, assisted technology, new fencing and therapy dogs. ACT Today!, requests donations from the public as the costs for these services in the impacted areas will increase dramatically." ACT Today! is committed to providing these dedicated funds to the region's most vulnerable families impacted by Hurricane Harvey and the aftermath caused by the catastrophic flooding and life-threatening emergencies in Houston, Texas and the surrounding areas. A GoFundMe page has been established for the public to contribute to these families. 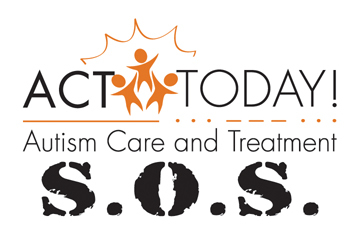 Donations in any denomination can be submitted at https://www.gofundme.com/act-today-sos-program-for-autism or through the ACT Today! website at www.act-today.org. ACT Today! (Autism Care and Treatment Today!) is a 501(c)(3) non-profit organization dedicated to providing resources and funding to families of children with autism who cannot afford or access the necessary tools their children need to reach their full potential. For more information about ACT Today!, visit www.act-today.org.